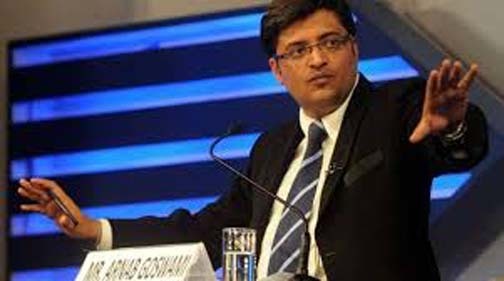 In a fresh development, news anchor and co-founder of ‘Republic TV’ Arnab Goswami, who hails from Assam, has been nominated by Prime Minister Narendra Modi along with three others to join the Nehru Memorial Museum and Library (NMML) Society, replacing the dissenting members. While a new member from Assam – Arnab Goswami – has been appointed in the NMML Society replacing noted academic Pratap Bhanu Mehta (who has already resigned), another existing member, Prof Udayon Misra – who is also from Assam – has been removed from the Society. Udayon Misra is a former Professor and Head of the Department of English of Dibrugarh University. The other members of the Nehru Memorial Museum and Library (NMML) Society, who have been removed from the NMML Society are Nitin Desai and Dr. BP Singh. The new development comes after the four members of the Society, who have been shown the door, opposed the Central Government’s move to set up a museum for Prime Ministers within the Teen Murti premises. Teen Murti is closely linked with the legacy of the first Prime Minister of India and Congress leader Jawaharlal Nehru. As per an order issued by the Union Ministry of Culture, with the “approval” of Prime Minister Narendra Modi, the resignation of Pratap Bhanu Mehta has been accepted as a member of the Nehru Memorial Museum & Library (NMML) Society, New Delhi. According to the order, the four existing members of the NMML Society have been replaced with new members. Existing member Nitin Desai, who taught economics at two UK Universities, has been replaced with Ram Bahadur Rai, Dr. BP Singh has been replaced with S. Jaishankar and Prof. Udayon Misra has been replaced with Vinay Sahasrabuddhe. As per the Memorandum of Association and Rules & Regulations of the NMML Society, the term of the new members nominated to the NMML Society shall be up to April 26, 2020 or until further orders whichever is earlier, the order stated. The order was issued by Rajesh Kumar Singh, Director, the A & A section of the Union Ministry of Culture. In 2016, Ram Bahadur Rai, who is a former journalist and author, was appointed by the Narendra Modi Government to head the 20-member board of the Indira Gandhi National Centre for Arts. S. Jaishankar, who has replaced Dr. B.P. Singh, is a career diplomat and former Foreign Secretary of India. He also served as the Indian ambassador to the US, China and the Czech Republic, and High Commissioner to Singapore. Jaishankar who joined the Tata group on his retirement, played a key role during the negotiations of the Indo-US civilian nuclear agreement. On the other hand, Vinay Sahasrabuddhe, who heads BJP’s think tank, Public Policy Research Centre, is a national vice-president of the party and Rajya Sabha MP. Sahasrabuddhe was earlier appointed as the president of the Indian Council for Cultural Relations.